Premium Bootstrap templates have more features, that is why they are charged with price, for instance, they will be updated every time there will be added new pages and items in the current theme. Bootstrap website templates are very demanded because it is very convenient to work with it, any person without any great knowledge of programming can manage it. Purchasing a Bootstrap HTML theme is always a good bargain since it is traded for a very decent price and most of the work is already done. The person will just need any HTML editor in order to alter the template’s design by taking into account his or her preferences, desires, wishes and taste. By acquiring our Bootstrap template your customers will never face accessibility problem because website will be able to be browsed through any compatible browser like Google Chrome, Internet Explorer, Opera, Safari and etc. Also, the Bootstrap template has a responsive design which means that the website can be opened by any device like computers, laptops, mobile phones, tablets and etc. This is a very important feature since technology develops with very high speed and new gadgets are emerging, therefore, we have to solve potential accessibility issues. 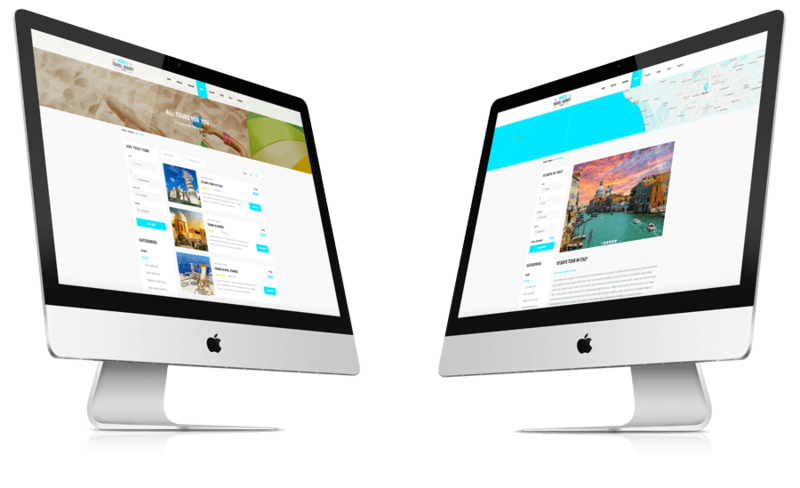 Also, responsive template means that the website’s design will be altered based on from which device it is accessed. In other words, the design will always look, to be assured that it is true please click on the “Live Preview” button. There will be new paged opened, on the upper side of the window there are three different icons, phone, computer, tablet, by clicking on them you will see how design is altered for each of them. 1. Home: On this page post the most interesting and engaging information in order to attract potential customers and make them stay on your website for a long time. 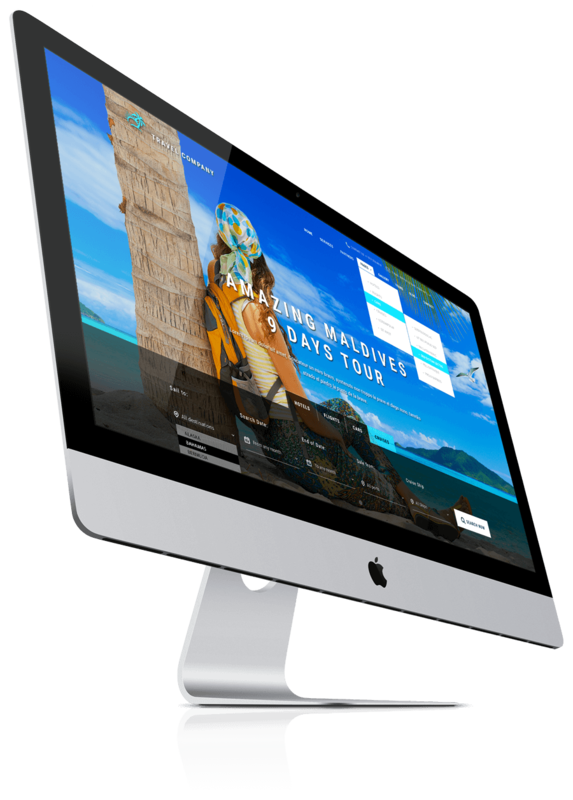 On the home page, there is also presented the search tool which will help to find tours based on city, arrival and departure date and a number of adults. 2. Services: In this section should be posted the services that the company is offering, they should be described in a very detailed way. The shared information must be persuading to potential customers, and they should be assured that given company is the best provider of those services. 3. Partners: In this section should be posting information about the company’s partners (if they exist). Customers like when there is a decent amount of information about a company with which they will cooperate. Therefore, present the data and increase company credibility and validity in the eyes of customers. 4. Pages: Here are covered five different sections and all of them cover various topics. The first section is “About us” page which can be employed to explain why your company is the best. The rest of the pages cover the services that are offered by a company like tours, hotels, cars, and cruises. Each of this page comes with the search tool that can be used by customers to narrow their options for instance by destinations, start and end date and etc. The design also allows customers to sort hotel, car, cruise and tour offer by price or rank. As it is noticeable template’s design offers everything to make the searching process easy and smooth. And the most important is that each offer which can be tour, hotel, car or cruise, comes with detailed description pages. 5. Gallery: In this section can be posted various images of the company, services, staff members, satisfied customers, travel destinations and etc. If you like the presented pictures in this template, then feel free to use them since they are included in the price that is charged for the theme. 6. Tours: In this section can be vividly posted some hot offers that are available in that period. Also more thorough information about the tours, what are possible country/city destinations, how they carried out and what is the price range. 7. Blog: In this section can be posted some interesting information that is related to tourism and travel. You can give chance to people to share their experiences and give them chance to tell about their tours. In this way, your potential customers will have more information which in turn will help them to make traveling decisions easily. 8. Contact: In this section can be posted contact information like email address, street address, telephone number and etc. We also included “Contact Form” in the template to facilitate the communication process between the company and customers. If you have any questions regarding any topic, please leave them in the comment section and our support team will answer it as soon as possible. In order to assure that explanation process goes smoothly the support group will create video tutorials as responses to your questions.